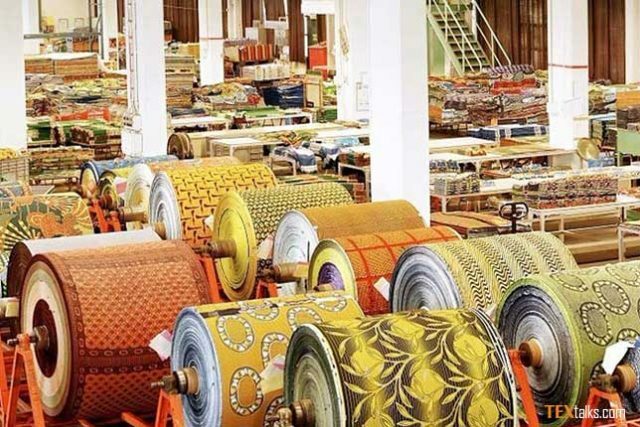 The Central Bank of Nigeria (CBN) has announced plans to revive Nigeria’s textile industry, unveiling measures that will see the development achieved. To this effect, the CBN has placed a restriction to forex access to importers of textiles and other clothing materials into the country. Henceforth, importers of textile and textile materials would not be able to purchase foreign exchange from banks and bureaux de charge as well as other operators in the official foreign exchange market. The announcement was made by the CBN Governor, Mr Emefiele, at a meeting with textile industry stakeholders which held in Abuja. Effective immediately, the CBN hereby place the access to FX for all forms of textile materials on the FX restriction list. Accordingly, all FX dealers in Nigeria are to desist from granting any importer of textile material access to FX in the Nigerian Foreign exchange market. According to Mr Emefiele, the restriction will boost the domestic textile industry as well as create jobs for Nigerians. He noted that the apex bank would initially support the importation of cotton lint for use in textile factories, with a caveat that such importers will begin to source their cotton needs locally beginning from 2020. He disclosed that the CBN has decided to implement a few steps that will support the revival of the textile sectors. These steps include financial support to textile manufacturers with the provision of funds at a single-digit rate, to refit, retool and upgrade their factories in order to produce high-quality textile materials for the local and export market. In response to the problem of stable electricity, the CBN has also offered to support the creation of textile production centres in certain designated areas in Nigeria where access to electricity would be guaranteed. CBN is optimistic that these measures would discourage smuggling, resuscitate the critical industry, and support stakeholders’ efforts at creating jobs for Nigerians. Citing that Nigeria spends above $4 billion annually on imported textiles and ready-made clothing. The governor also explained that with a projected population of over 180 million Nigerians, the needs of the domestic market are huge and varied, with immense prospects, not only for job creation but also for the growth of domestic textile industries. There is huge potential in the local market which includes the need to support the provision of uniforms and clothing apparels for school students, military and paramilitary officers as well as workers in the industrial sector. Based on the amount spent on outfits for religious and events such as weddings, naming end funeral ceremonies on a weekly basis, CBN projects the potential market size is well over $10 billion annually.